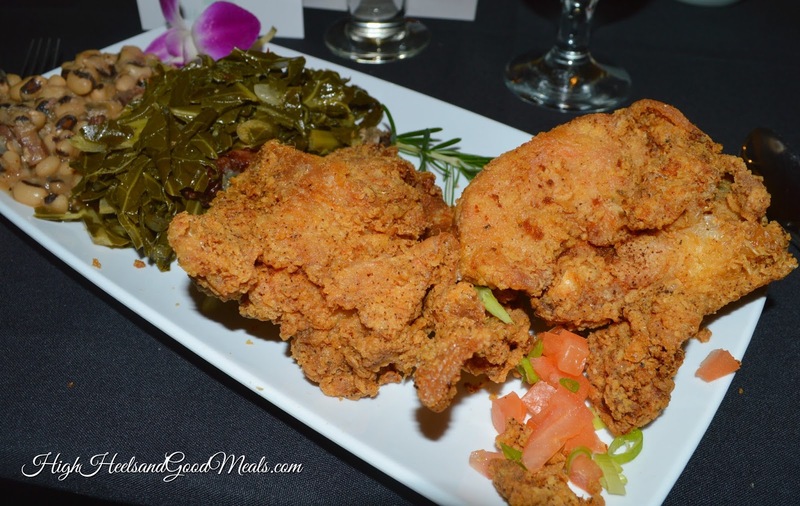 I recently attended a NomNomJax soul food event at the most unexpected location! The Holiday Inn! Yep, that’s right, The Holiday Inn honey! If you live in the area and enjoy food as much as I do (which I’m sure everyone here does) then you definitely want to get up with my friend Nate and the NomNom Club! He has events monthly at some of Jacksonville’s best eateries! This particular event featured some of our favorite soul food items! Chef Kenny at The Holiday Inn on Baymeadows definitely knows what he’s doing! These items are usually on a catering menu but are available upon request otherwise! These were my favorites from the evening! 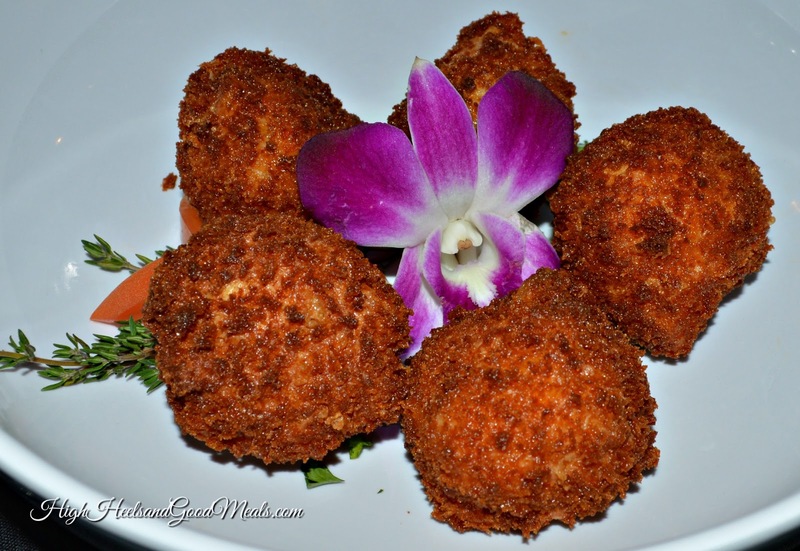 These were the fried macaroni and cheese balls. They were fried to a beautiful golden crisp! 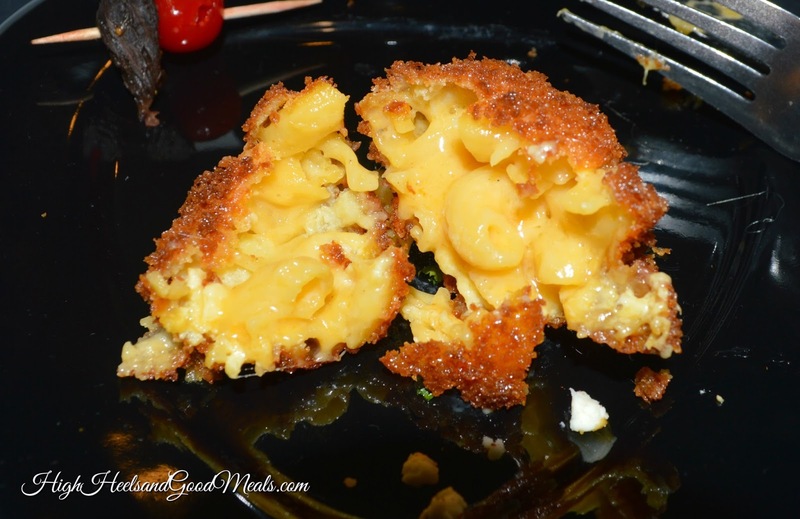 The inside was cheesy perfection and I’m not even a big mac and cheese fan (I know, I know, how could that be! I just never cared for it much!) These were very good though! Que my Bubba Gump voice…. We had Fried Shrimp, BBQ Shrimp, Cajun Shrimp….lol! All three of these came with a delicious and creamy bed of cheese grits! This was my favorite dish of the night! Of course you can’t have soul food without fried chicken being somewhere in the mix! This was the most beautiful plate of fried chicken, greens, and black eyed peas, I have ever seen! The only thing that was missing was a biscuit! It was everything! 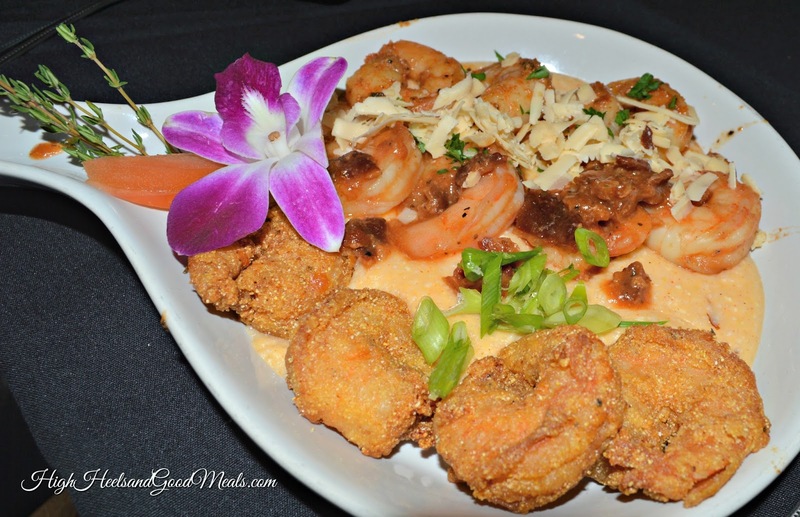 So, if you’re ever in the Baymeadows area, and you’re in the mood for some good ole’ soul food, stop in to the Holiday Inn and give Chef Kenny a holla!